​Thibaut Courtois manufactured an exit from ​Chelsea this summer due to the stress caused by living away from his children, according to the player's agent. The 26-year-old put pen to paper on a six-year contract with ​Real Madrid earlier in the week; bringing an end to the Belgian's seven-year spell at Stamford Bridge after joining the Blues from Genk in 2011. Has Thibaut Courtois done the right thing? However, despite some claiming that the stopper forced his move away from west London for the "wrong reasons", the custodian's agent, Christophe Henrotay, insisted to ​BBC Sport that it only transpired due to family circumstances. "There has been a misunderstanding that he wanted to get a move for the wrong reasons, but he was pushing to go out of Chelsea because of his child," said Henrotay. "Unfortunately his kids are living with the mother in Madrid. "He had the contract and it depended on Chelsea, but running close to the end of his contract, Chelsea had an interest to find a deal with Madrid, which they did. "It is personal reasons so we have to respect this. Chelsea understood the situation and really helped to get the deal. "They did a really quick and easy deal together, understanding the humanity of the situation. It is not doing something against their fans, it is about getting the best of a situation that is not ideal." 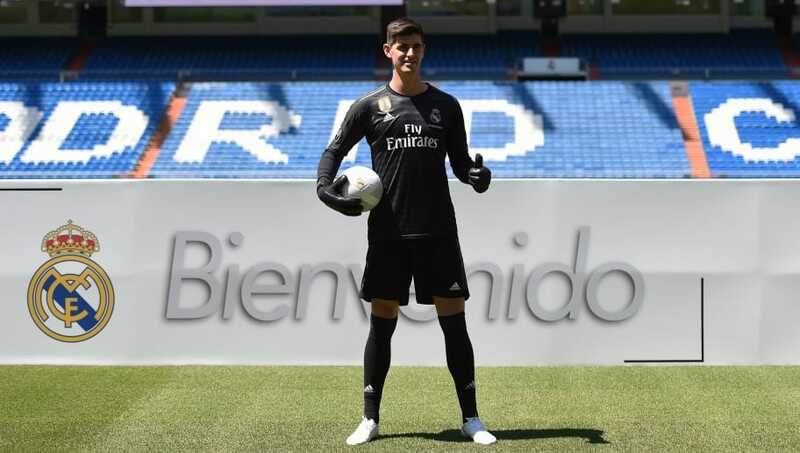 Some Chelsea fans were left disappointed with Courtois' decision to leave the club, despite replacement Kepa Arrizabalaga joining for a world-record fee and the 26-year-old having just 12 months remaining on his deal with the Blues. However, Henrotay claimed there were no hard feelings between his client and the Stamford Bridge hierarchy, stating the goalkeeper had apologised for not returning to training following the World Cup. "This was the situation, he apologised and finally everybody is happy." It seems Courtois' departure has had a minimal effect on the dressing room so far, with new man Kepa recording his first ​Premier League minutes on Saturday as Chelsea began their campaign with a ​3-0 victory over Huddersfield Town.